A medical condition due to which the tendons in your body get inflamed is commonly known a tendonitis. However left untreated can develop into a more complex problem in the joint of the body. 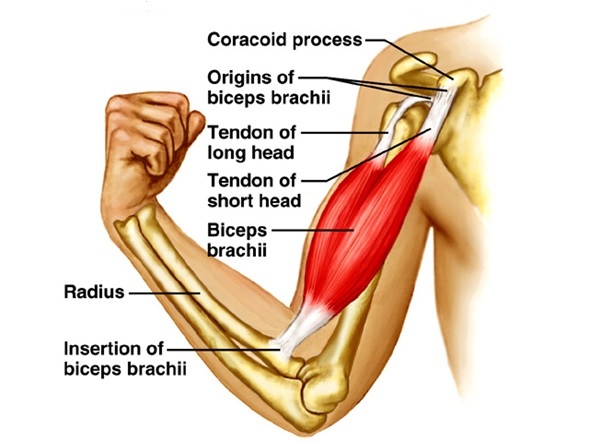 Your tendons are flexible cord like structures that attach bone to muscles. Tendons are located through out the entire body. The tendon functions to allow the pull of the muscle to the bone to cause movement. When these tendons get inflamed they cause acute pain in your body. It happens mainly due to the overuse of tendons or aging. Usually people who are associated with sports are prone to this condition. Elderly people are affected because their tendons become weak with age and start losing their elasticity. Basically anyone at any age can get tendonitis. But it is more common in adults mainly older than 40. The reason is that as we age our tendons react more negative to stress and are less elastic. This change makes you more susceptible to tendonitis. If you are facing acute pain when moving any of the above mentioned part of your body, it may be due to tendonitis. You might have a feeling of grating or crackling of a tendon when trying to move any body part. Swelling is common sign to suggest that an area might be affected by Tendonitis. Also that part may turn reddish and feel hot. Formation of a lump along the tendons is a definitive indication of tendonitis. What parts of the body are you more likely to get tendonitis? What are the best exercises for tendonitis? Before you start to exercise for tendonitis to recover your normal function, you must first get rid of the pain and inflammation that is affecting the tendon. Acupuncture can help by increasing the blood supply and circulation to the affected tendon. This process promotes the body’s natural pain release of endorphins and serotonin. Physical therapy can utilize ultrasound and laser therapy that is proven to reduce pain and inflammation. What’s next for my tendonitis recovery? After you have calmed down the pain and inflammation the next phase of your treatment can begin. While there are specific, recommended exercises for tendonitis, depending on the part of the body where the tendonitis is active you must think about your recovery in phases of progression. What are the phases of progression for my tendonitis recovery? First you will begin with gentle stretching of the affected tendon. The stretches should be pain free and held for a minimum of 30seconds. These stretches should be done daily. As the pain lessens you will progress to a more active stretch regime. When do I start to strengthen my muscles with recovery of tendonitis? When you can completely stretch the muscles both passively and actively without pain then strengthening can be initiated. These strength exercises for tendonitis during this phase should be of light resistance with increased repetition. Remember you are gradually trying to reintroduce stress to the tendon without causing re-inflammation. As this process advances you can gradually increase intensity without pain. When can I tell I am ready to get back to my normal exercise/sport with Tendonitis? When you can move the affected joint with tendonitis without pain both actively and passively and you have normal strength at the muscles of the joint. Basically your everyday use should not bother the joint. There are many specific exercises for each joint of the body affected with tendonitis. I always provide holistic treatment options for patients suffering from any kind of acute and chronic pain including tendonitis. Different kinds of physical therapy might be used to treat different patients depending on their medical condition. Once you visit a Don Kelly therapy centre you will be checked thoroughly and the root cause for your pain will be diagnosed. After the main cause is identified you might be prescribed for any of the below mentioned physical therapy methods. Manual Therapy– In this procedure pressure is applied manually by hands on the affected area to help the tendons or muscles to relax. Heat/Ice application – Herein, the affected area is treated by applying heat or ice which eases blood circulation in turn relaxing the soft tissues and diminishing pain. Electrical Simulation – A wave of electricity is passed through your skin. The wave is painless in nature and affects your nerves to relax them. Ultrasound Therapy – As in the case of electrical simulation here also sound waves are used instead of electricity. These sound waves produce heat deep under your tissues to help the tissues relax. This method is mainly useful for tendonitis.